Here in southern Appalachia a profusion of plants have been blooming for a bit or are starting to bloom including Daffodil (Narcissus spp. ), Forsythia spp., Dandelion (Taraxacum officinale), Bluets (Houstonia sp. ), Periwinkle (Vinca sp.) Toothwort-Cresses (Dentaria/ Cardamine spp. ), Camellia spp., Chinese Magnolia Magnolia ×soulangiana [denudata × liliifolia], Snowdrops (Galanthus sp.) Grape Hyacinth (Muscari sp.) other Hyacinths (Hyacintha spp.) Ornamental Cherries (Prunus spp. ), Periwinkle (Vinca sp.) Bridal Veil Spiraea (Spiraea sp. ), Euphorb (Euphorbia sp.) and Poor Person’s pepper (Lepidium sp.) What plants have you noticed recently? So happy to have the largest class yet aboard for our journey through botanical learning! First, we need to work on having some common language and frameworks upon which to file away all the information to come. The inside of the back cover includes a basic guide to leaf terms and differs somewhat from the 5th edition and the 6th. The information that is presented is essentially the same but the layout varies. i do like the changes that Tom made in the 6th edition to a more linear and clearly delineated format. However, perfoliate and peltate leaf examples are missing from the newer edition. Though rare they are distinctive and you may want to google them if you have the newer version. Conversely the 6th edition has a greater representation of compound leaves including bipinnate, tripinnate, biternate and triternate which are particularly prevalent in the tropics and in the Bean-Pea family (Fabaceae) and Celery family (Apiaceae). During the growing season leaves are one of the most telling features as to what group a plant might be in. Always look at whether the leaves are oriented opposite or alternate each other on the stem first and foremost when trying to identify a plant. Notice after that whether leaves are simple or compound. Woody plants are particularly easy to identify by leaf orientation and form. Very few plants have whorled leaves i.e. Cleavers (Galium aparine) and Lilys (Lilium spp.). This is a distinctive identifier when present. On page one Thomas lays out for us how his book works. First you need to start with a little history. Pages two, three and four in the 6th edition state further information from the last class about how plants are ordered at different hierarchical levels. Next, Thomas takes on seven of the most major flowering plant families of the world. Just these seven contain almost 20% of all flowering plants known on the planet! Branching out to other families is easier once you are familiar with these major seven. Two methods for identification include using the keys on pages 25-36 in the 5th ed and 23-35 in the 6th ed or looking up scientific/common names in the index and following them to the family page. Start to pay attention to the plants in your immediate vicinity first. Notice the details that make them different whether it is the flowers, fruits, leaves etc. Attention to detail will automatically illuminate plants more clearly even without knowing who they are or the terminology to classify what you see. Plants that have been present but unnoticed will all of a sudden be surrounding you wherever you go. i agree with Thomas that books organized by family are easier than ones organized by color once you pick up on patterns of plant growth and development. i can know what family a plant belongs toalmost anywhere in the temperate world now. If plants are grouped by family it is not hard to quickly find what members are around from the guide and start drawing new connections. My favorite wildflower guide for southern Appalachia is arranged this way and a new edition just came out recently (Horn, Duhl, Hemmerly, Cathcart, & Tennessee Native Plant Society, 2013). The company that publishes it, Lone Pine, makes guides for many other areas as well. The one for the northwestern U.S. is another favorite (Pojar et al., 1994). Page two (5th ed.) and three (6th ed.) have an inset box of interest to you. Thomas describes how he has listed the diversity of each genus for the world, the U.S. and to his home state of Montana. He also marks each plant he recognizes with a dot. You are encouraged to determine how many species occur for each genus in your state or region. 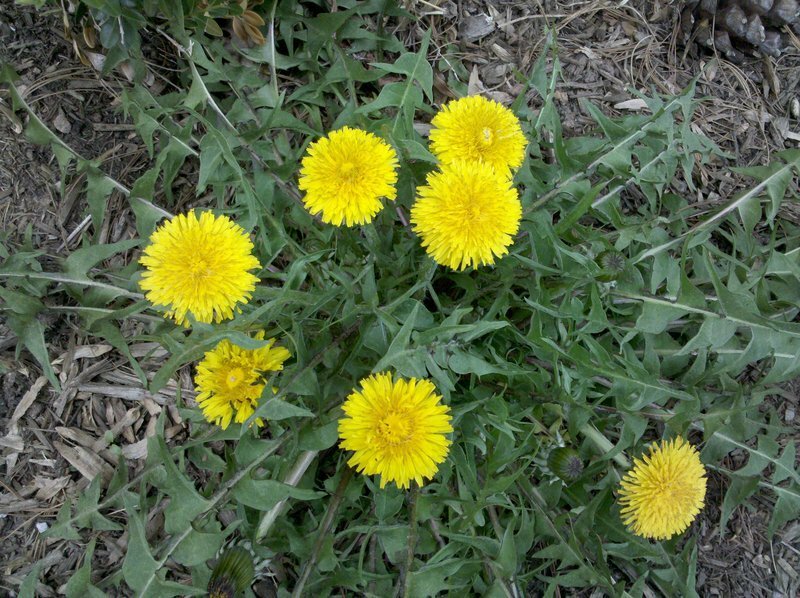 A state flora (total listing of plants) or the USDA http://plants.usda.gov can help in this regard. The Carolinas share a flora (Radford, Ahles, & Bell, 1968). However, i often find more useful the flora for the Blue Ridge section of the southern Appalachian Mountains (Wofford, 1989). Dr. Alan Weakley has put together a whole flora of the southeastern U.S. that is free to download and is also updated periodically http://www.herbarium.unc.edu/flora.htm . Another good computer resource for furthering awareness of plant distribution and diversity is the Biota of North America Program (BONAPO) www.bonap.org. The TROPICOS database includes all of the nomenclatural, bibliographic, and specimen data accumulated in the Missouri Botanical Gardens electronic databases during the past 25 years www.tropicos.org. This system has over 1.2 million scientific names and 4.0 million specimen records and tons of pictures. i will offer up a plethora of other electronic resources as well that you may want to have at your command in the next class. Thomas includes a description of plant classification schemes that is helpful to wrap your mind around. Carl Linnaeus made a giant leap forward in the 1700s by ordering different forms of life into the now classic binomial system of genus and species. The main focus of Botany in a Day is the family which is next level beyond genus and species. To some degree he also includes the order level which is still very messy and commonly being redefined by further genetic studies. Thomas also states that the order level does not often offer enough distinction in regards to identification or ethnobotanical application. Anything beyond the order often differs from botanist to botanist and is still in a rather fluid state. A lot has changed even at the family level especially over the last ten years or so. A number of family schemes have been proposed over the years with Robert Thorne (Thorne, 1976, 1992) and Arthur Cronquist (Cronquist, 1981, 1988) leading the charge in the modern age. Eventually the work of singular individuals mostly classifying plants based on physical form gave way to a worldwide network of people organizing by physical form as well as biochemical and genetic characteristics. The work of the Angiosperm Phylogeny Group (APG) split up and at times fused together various family treatments from former authors both in (2003) and most recently in 2009 (Chase & Reveal, 2009; Group, 2009). The main reason for these changes is that just because a plant species looks the same as another one it does not mean that they came from the same exact ancestor. This could be because they had slightly different ancestors or through the process of convergent evolution whereupon outside forces such as pollinators or ecotypes drove them to take on similar forms. The goal of classification now is to make what’s called a monophyletic tree whereupon everything is classified in a step wise progression one evolutionary step at a time from one single lineage. Thomas does a good job of explaining that in the 6th ed on page 4. The big point is that many older references will group plants according to the work of Cronquist, Thorne and others. Whereas even most current college level botanical texts are still working off of APG II (Castner, 2004; Judd, Campbell, Kellog, Stevens, & Donahue, 2008; Mabberley, 2008; Raven, Evert, & Eichhorn, 2004; Simpson, 2010; Spears, 2006). The newest edition of Biology of Plants i imagine takes into account the changes from 2009 however this book cost around $90 even used (Evert & Eichhorn, 2012). Botany in a Day 6th ed. is still one of the only book references that i am aware of that takes into account APG III which is pretty awesome! Wikipedia does do a decent job of this online as well as the website the plant list. Hopefully the end game is near for significant changes in how plants are ordered. If you are starting now you are lucky! If you have been studying plants for a while in this way my condolences as you probably have a whole lot of knowledge and references using older classifications and will now potentially need to live in the two worlds of old and new! i feel your pain if that helps but still think it is worthwhile to become updated, especially if you are a botanical educator. Below are items to think about/comment on. Please write me directly at marc@botanyeveryday.com or leave information in the commentary under this class. Praises to all that have donated to the cause. i encourage everyone to give as they are able. Your contributions whether they be financial, commentary or other all greatly help us continue this crucial work of ethnobotanical research and education. Castner, J. (2004). Photographic Atlas of Botany and Guide to Plant Identification. Gainesville, FL: Feline Press. Cronquist, A. (1981). An integrated system of classification of flowering plants. New York: Columbia University Press. Cronquist, A. (1988). The evolution and classification of flowering plants. Bronx, N.Y., USA: New York Botanical Garden. Evert, R. F., & Eichhorn, S. E. (2012). Raven Biology of Plants (8th Ed). New York: W. H. Freeman. Horn, D., Duhl, D., Hemmerly, T. E., Cathcart, T., & Tennessee Native Plant Society. (2013). Wildflowers of Tennessee, the Ohio Valley, and the Southern Appalachians. Pojar, J., MacKinnon, A., Alaback, P., Antos, J., Goward, T., Lertzman, K., … Vitt, D. (1994). Plants of the Pacific Northwest Coast: Washington, Oregon, British Columbia & Alaska. Renton, WA ; Vancouver: B.C. Ministry of Forest and Lone Pine Pub. Raven, P. H., Evert, R. F., & Eichhorn, S. E. (2004). Biology of Plants (Seventh Edition). New York: W. H. Freeman.